Some of you may know that my first career was designing architecture. And that I came to portrait photography after several years as an internationally published architectural photographer (something I still love -- if you’re curious, check out my architectural portfolio and HOUZZ pages). In fact, one of my most widely published photographs was an architectural photo I did for a show home in the Highlands area (just north of downtown Denver) on which Heidi Mendoza, owner of Re.Dezine, was one of the interior designers. The exterior is bold and eye-catching (and especially spectacular and dramatic in Colorado light! ), and the interior is fresh and exquisite. The combination resulted in a set of photos which was widely featured in design magazines, blogs, trade publications and books around the world (a few images below). So I was really excited when the opportunity arose to photograph this absolutely gorgeous woman (a fellow Finnish designer and mom!) 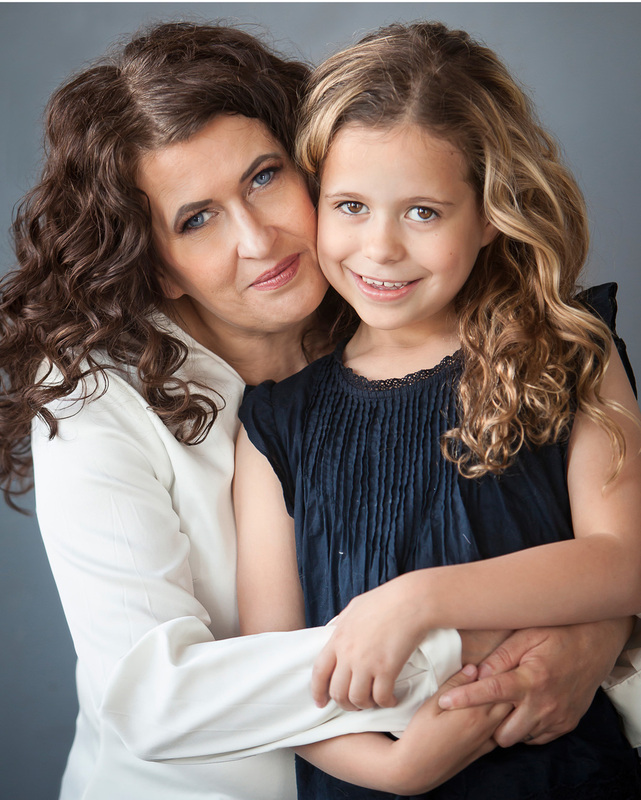 -- and her ridiculously adorable daughter -- in a combined personal branding / mother daughter session. These personal branding portrait sessions are the real deal, full experience, so we started with one of my wonderful makeup artists, Ashleigh Franke (Beauty by Ashleigh) treating Heidi to a luxurious hair & makeup session. Even for clients who are perfectly comfortable doing their own makeup, it can be an incredibly fun and relaxing thing to have this as the first part of photo session day. And then we were ready to jump in! Heidi had told me (as far back as her consultation) that she was nervous and hated having her photo taken... but I'll be honest, after just a few frames she seemed to relax and we had an incredibly fun time! I couldn't wait to photograph her, and as I anticipated, it was an absolute joy photographing her combination of stunning blue eyes with that incredible and voluminous, curly brunette hair!! Such striking contrast! The session was two-fold in intention. One of the purposes here was to create professional images for Heidi to use in promoting her design business. Styling her session around her chosen wardrobe was a blast. Can you believe this gorgeous woman was nervous for this session?? I mean… I’ve learned several ways to help my clients feel relax and look their best… but just look at that brilliant smile of hers!! Drawing out natural eye contact with a sense of approach-ability, confidence and professionalism is at the heart of a great professional branding portrait, and we got great images here for her to use in her business. And then of course, a bunch of FUN ones with that crazy gorgeous daughter of hers! As you can see, her daughter is simply divine -- bubbling over with personality and adorable joy!! These mother daughter photos were pretty much effortless -- these ladies are beyond cute together, and so my job was simply to capture what they were already doing! If you're in the market for a designer, or to read more about Heidi’s beautiful interior design work, please wander over and take a look at her gorgeous portfolio and HOUZZ site! I’m a Denver based portrait photographer specializing in bringing out connection, personality in the EYES by giving my clients far more than ordinary headshots. Couture personal branding sessions are custom styled around YOU and your brand, and in the process I strive to create an immersive and empowering experience. I would love to chat with you about designing a couture professional branding session for you!